Summer may be coming to an end, but the heat remains. This is another favorite summertime dish that doesn’t involve stove top cooking. My mother used to make this for me all the time. 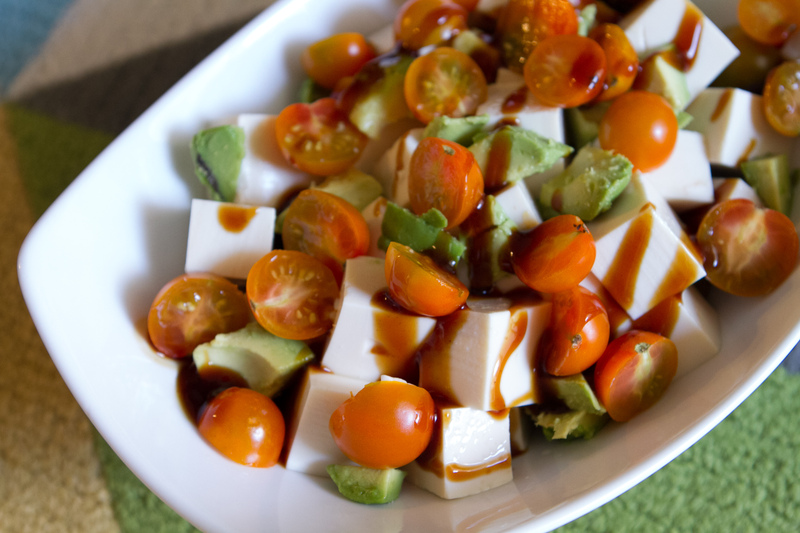 It’s a refreshing dish that satisfies taste, nutrition and ease. Best of all, the cherry tomatoes are from our garden. 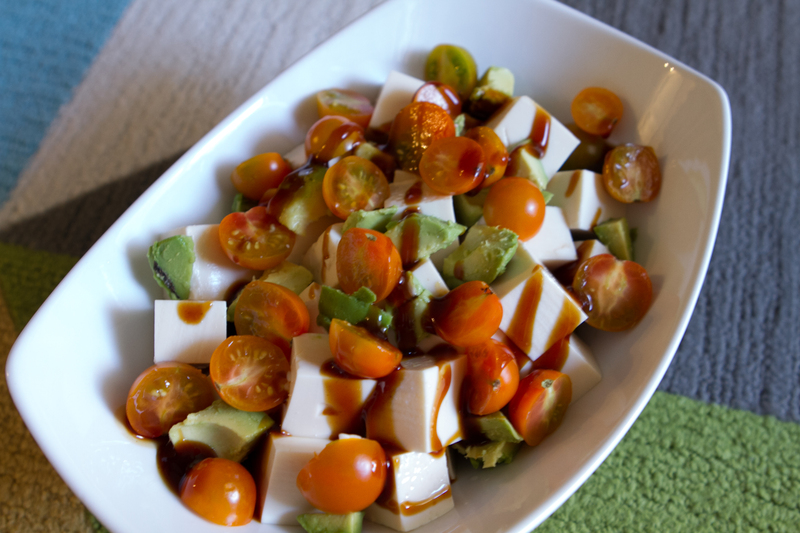 Gently layer the avocado, tofu, tomatoes in a glass bowl. Mix the soy paste and sesame oil until well combined. Drizzle over everything.